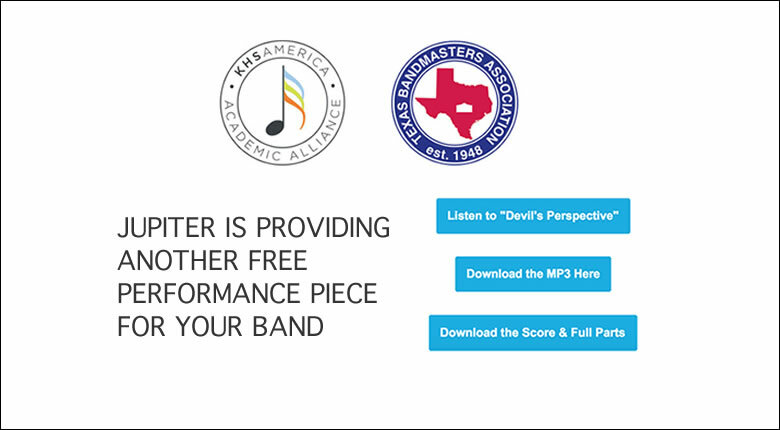 We are providing the winning piece from our 2017 TBA Melody Competition, “Devil’s Perspective” for FREE. This piece by Quinton Porter, a junior at Timber Creek High School in Fort Worth, Texas, was premiered at the United States Air Force Band of the West during the 2017 Texas Bandmasters Annual Convention. Click the Academic Alliance and TBA image below for more details on the competition and click the Blue buttons to download the MP3 of the song and the full score and parts.